If you are struggling with creating a song structure that displays your song ideas in the best possible way, I’d like to share with you two resources that will put an end to this problem. I know it can be frustrating to order your ideas, and you can’t quite get it right, you know your song is suffering big time from it. Fortunately there are some simple techniques you can use that will completely erase this problem for you! And when you see how simple this is, you will most likely chuckle, and then get to work structuring your songs in a way that delivers the biggest impact. 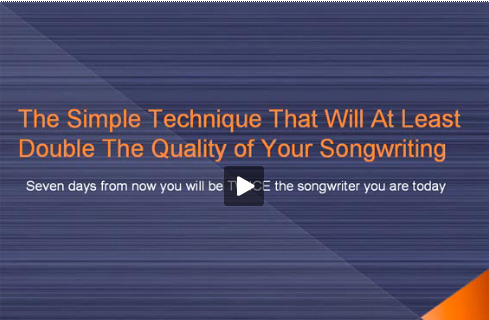 The first one is an article that takes you each step of the way through creating the perfect structure for your song. This article will only take a few minutes to read, but after it you will know exactly what you need to do to structure your songs beautifully. The second resource is a Songwriting Course I have published, called The Songwriting Genius Within You. This course will help you to easily structure your ideas to create an amazing impact on your listeners. It will also help you to become FAR more creative, and make exciting song ideas come to you over and over again. If you want to become a true “songwriting master”, this course is for you. Many hundreds of musicians have taken this course and been blown away at the results. If you want to read about the experiences these musicians have had, as well as get all the details, click here to investigate this amazing songwriting course.